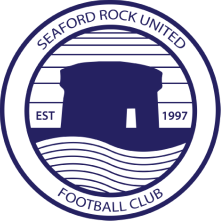 One of the most naturally gifted players to represent Seaford in the modern era, Harro played a crucial role in the club’s ascent to Major 1 with consecutive promotions under Ronnie McLoughlin’s management. With wonderful feet and technical ability, the vision to pick out the perfect long or short pass, and a tenacious physicality in the air and on the ground that belied his stature, Neil formed a particularly combination with Mark Hanratty and John Power – as formidable a midfield trio as would be found several divisions higher in the Leinster Senior League. Although he topped the assist charts for several consecutive season, Neil was never a prolific goalscorer – but his first ever strike for the club couldn’t have been more vital, a scuffed equaliser at home to Rathmichael Shankill that set up a famous last-day win to seal promotion, and he also won goal of the season in 2011/12 for an extraordinary 30 yard piledriver into the top corner during a home defeat to Athy. Neil left the club in the summer of 2014 when he moved to the USA, but returned to the club in 2016 and re-established himself in the first-team set-up.